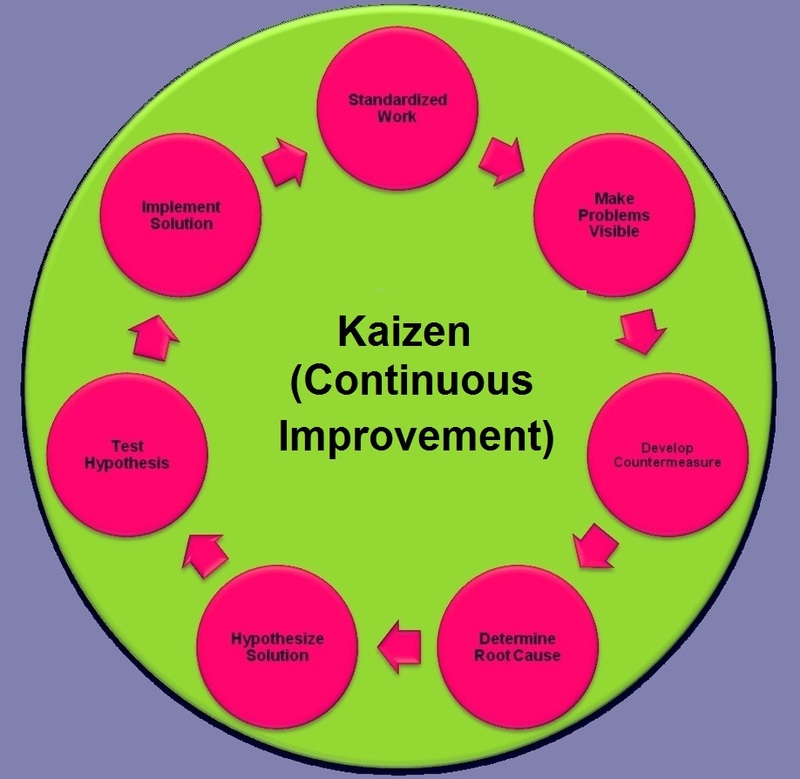 Kaizen – Kaizen Analysis – Continuous Improvement – Kaizen Framework – Kaizen Business Methodology – Kaizen model is a lean approach to continuous improvement of business processes and is at the heart of the Lean Six Sigma philosophy. Kaizen worldview or mind frame is meant to be a continuous cycle consisting of the following stages: make problems visible, develop countermeasures, determine root cause of the business issues, hypothesize solution, test hypothesis, implement solution, standardize work. 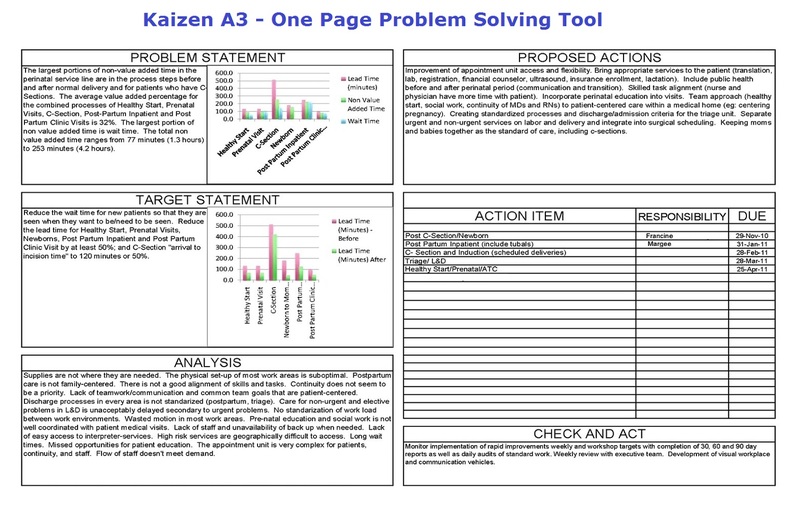 Below sample images are examples of Kaizen used in business management.